While business dries up for some, others reap the rewards of an exceptional growing season elsewhere. CONCORD, N.H. — From farmers markets teeming with new customers in New Hampshire to a Massachusetts flower grower desperately seeking new buyers for tens of thousands of mums, fallout from the Market Basket supermarket stalemate has been a mixed bag. 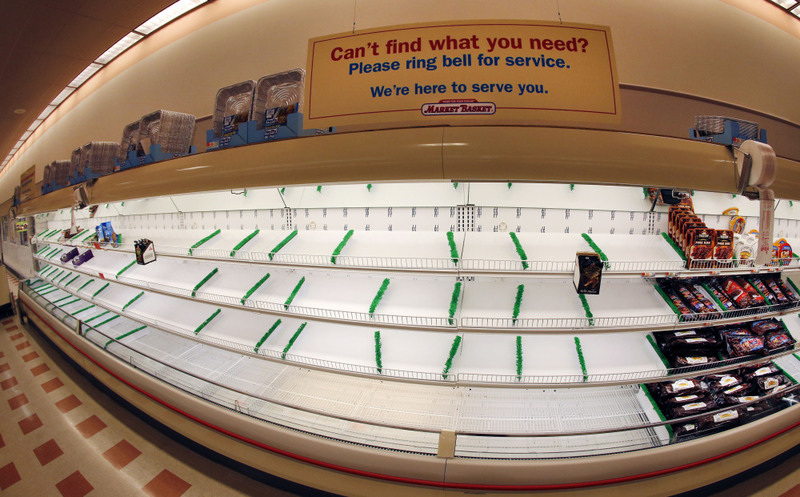 The 2-month-old employee revolt at the 71-store New England grocery chain coincides with what farmers say has been one of the best growing seasons in recent memory. But some growers who rely on big orders from Market Basket are not reaping the benefits as well as others. 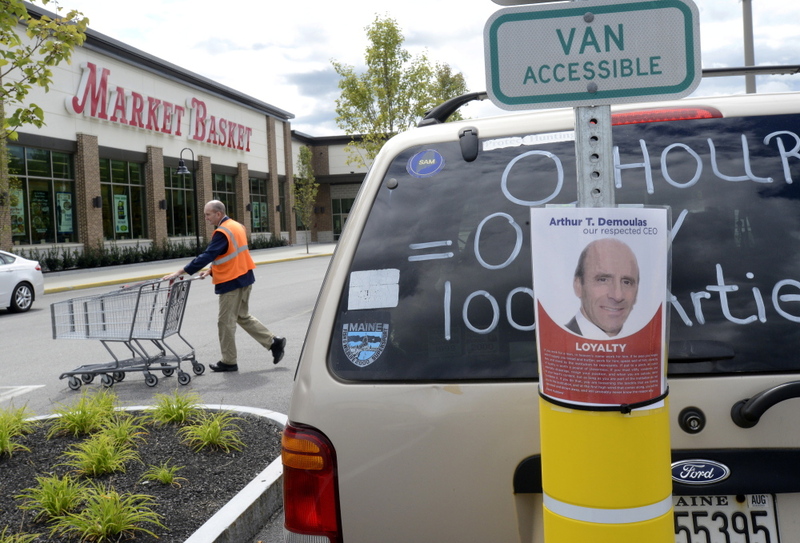 While there are signals that a breakthrough could come soon, Market Basket patrons are staying away. Most deliveries have stopped. Shelves are empty. Farmers who grew produce and flowers to fill Market Basket orders are scrambling to find other outlets. Those who saw the promise of profits in June are now counting their losses. John Simone of Simone’s Riverside Farm in Methuen, Massachusetts, said the first day he was to begin shipping produce to Market Basket was the day employees walked off the job to protest the June 23 ouster of CEO Arthur T. Demoulas by his cousin Arthur S. Demoulas and his allies. There have been weeks of talks, competing bids to buy out the chain and even the involvement of governors in Massachusetts and New Hampshire as the stalemate drags on. The governors said in a joint statement late Friday that they were optimistic the feud would be resolved, perhaps in a matter of days, with an agreement to sell the chain to Arthur T. Demoulas. Rich Bonanno of Pleasant Valley Gardens, also in Methuen, feels Simone’s pain four-fold. He grew 80,000 mums destined for Market Basket. He’s managed to offload 50,000 of those to another chain store, at 50 cents less per plant than Market Basket had agreed to pay. Bonanno is now wrestling with whether to invest $18,000 by ordering bulbs from Holland to fill Market Basket’s Easter 2015 order – a decision that has to be made this week. “I honestly don’t know what to do,” he said. Thirty miles north in Hollis, Massachusetts, Tyler Hardy of Brookdale Fruit Farm is working 95 hours a week to meet the demands of competing grocery chains that have seen a boom in business during the protracted protest. He said he usually delivers to Shaw’s and Hannaford three to four times a week. He’s now making deliveries seven days a week. “It’s tough to get enough picked during the day to keep up with the demand,” Hardy said. Farm stands and farmers markets also are booming this summer, a phenomenon Jane Lang attributes to the Market Basket standoff. She is president of the New Hampshire Farmer’s Market Association. “We have seen a tremendous growth,” said Lang, who hopes people who come to the markets for the first time will be smitten and return.